The Bulldogs are headed to Hawaii. Fresno State will play Houston in the Hawaii Bowl on Sunday, December 24th. After a 1-11 season in 2016, the Bulldogs have turned things around in Jeff Tedford's first year as head coach. 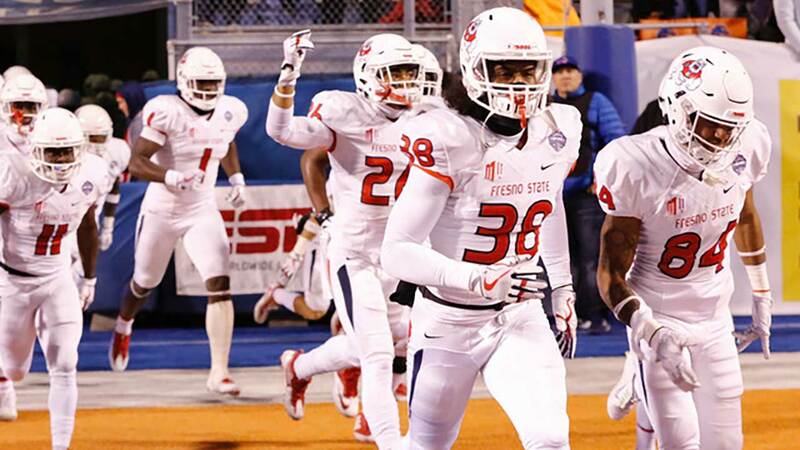 Fresno State has bounced back with a 9-4 overall this season and came up just short in Saturday's 17-14 loss to Boise State in the Mountain West Championship. "I'm really proud of our team and our staff. To be in this position, we fell short tonight. This group has accomplished quite a bit. I think it, rejuvenated the town of Fresno and we have a lot to be proud of," Coach Tedford said after the Mountain West Championship. Stay with ABC 30 for continued Bulldogs coverage.